Charles Leonard (Lennie) Davis, age 17, Wakefield, Nebraska continues to write short entries in his pocket-size diary. Lennie's words are in bold black. Went out riding in afternoon with Frankie Weaver. Since Lennie often mentions his "wheel" (bicycle), I'm thinking they went bicycle riding. It's possible, of course, that he's speaking of a horse. But since he often mentions the bike, I'm betting on the bike. Lennie's friend, Frankie, is 15 years old. According to the 1900 census for Wakefield, Dixon County, Nebraska, Frank's parents are Noah and Margaret Weaver. The Wakefield Journal a year previous mentioned Noah in a short one-liner...."Noah Weaver is now sending out notices to tax payers to "whack up". Don't be offended if you get one." According to the census, Noah is a wagonmaker. The 1896 History of Dixon County, Nebraska, also names Noah as a wagonmaker. He must have been on some county board if he were sending out tax notices. Noah Weaver's brother Issac (Frankie's uncle) lived next door. America has captured 9 ships to Spain's one. Seeded down the yard at home. George S is to be baptised tonight. There will be a social at Weavers tonight. Went to JOGT. Elected officers. Received word that Mrs. Swartz was dead. 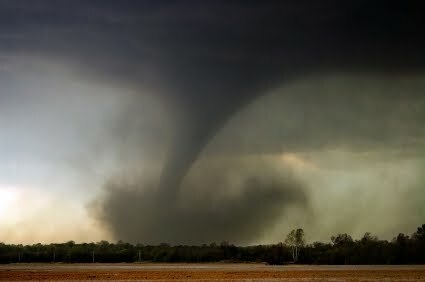 reports: "Dixon County was visited with two young tornados between 3 and 4 o'clock in the afternoon. The western vein struck the county at Charley Johnson's on the Cedar county line, destroying his barn and blowing the house off the foundation. It then destroyed O. B. Severson's house and moved his barn, shook up W. D. Blatchford's barns and house, granaries and machinery. It then demolished the two Norwegian Lutheran churches at Lime Grove and N. C. Jacobson's barn. N. Johnson's house was unroofed. Ole Severson had everything swept away. Ole Halvorson lost his barn as did Ben Benson. Ole Severson and his wife were quite severely injured, though not fatally. The southwest vein was hardly as severe as the western. It demolished two schoolhouses southwest of here, then dropped down at Thomas O'Toole's, completely destroying all out buildings, farm machinery, grain, etc., and almost wrecked his dwelling. It then struck Peter Nelson's and lifted the house, dropping it a number of steps away onto a cave into which the family had gathered. It then gave Andy Spellacy a call, destroying a house and all outbuildings including barns and granaries. Near here it drove a 2 x 4 studding through a basswood tree about 8 inches in diameter. The studding can now be seen in the tree. The two twisters traveled in a northeastern direction, doing damage in South Dakota and Iowa." The Ponca Newspaper reported the same storm with the following story. Later reports than the above gives definitely the names of the parties and the damage they suffered....Ed Luther a mail carrier between Newcastle and Limegrove, was caught by the storm and lifted from his cart over a fence and the mail sack was carried nearly a mile away. At Elk Point, SD, three houses were destroyed, three cows killed and John I. Johnson was carried about 200 yards from a building by the wind and picked up dead with his head nearly severed from his body. It is next heard of at Canton, SD, but no damage was reported done. Two children were killed at Sheldon, Ia., and a large number of buildings were laid waste." Scott, I googled JOGT but did not find much info online. I believe it was a junior organization within the Odd Fellows. You can click on the names of the newspapers...that will take you to a website wherein someone has posted isolated items from those papers.